Olympic Sports Psychologist, professional keynote speaker featured on OPRAH, Dr. JoAnn Dahlkoetter, from Stanford University Medical Center, is a featured columnist for The Huffington Post, and is CEO of Performing Edge Coaching International Association, (http://www.SportsPsychologyCertification.com ) a global resource and Certification Training Program for sports psychology coaches. Complimentary Book Chapter and tips at http://www.PeakPerformancePlan.com. She is founder of http://www.DrJoAnn.com the premiere sports psychology resource for athletes, coaches and sports parents. 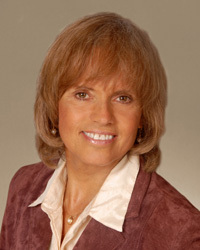 Dr.
JoAnn, has 5 Olympic Gold Medalist clients, competing in the last 5 Olympic Games, and is a featured columnist for the Huffington Post and author of several books including the #1 national bestseller “Sports Psychology Coaching for Your Performing Edge” Dr. JoAnn has appeared on OPRAH, and NBC-TV Olympics, ABC Sports, CBS, and Fox News. She’s a Stanford Performance Consultant, sports psychologist to OLYMPIC Gold Medalists and CEOs, and professional teams, and Winner of the San Francisco Marathon and 2nd in the World Championship Hawaii Ironman Triathlon. She was ranked #1 Triathlete in the U.S. by Triathlete Magazine. Dr. Dahlkoetter, was #1 ranked Triathlete in the U.S., and has been featured as an expert guest on numerous talk shows, including NBC, ABC, and BBC-TV networks. She has appeared on ABC’S WIDE WORLD OF SPORTS and NBC’S SPORTS WORLD. Her work has been published in the Journal of Consulting and Clinical Psychology, RUNNER’S WORLD, and Fitness Runner Magazine, and she has been featured in NEWSWEEK and SPORTS ILLUSTRATED. She is currently a regular contributor to several national magazines, including TRIATHLETE MAGAZINE and RUNNING TIMES. Dr. Dahlkoetter is a Diplomate in the field of Sports Psychology. In her 30 years of clinical practice she has worked with numerous Olympic and professional athletes, top business executives, performing artists, and those in high stress careers.